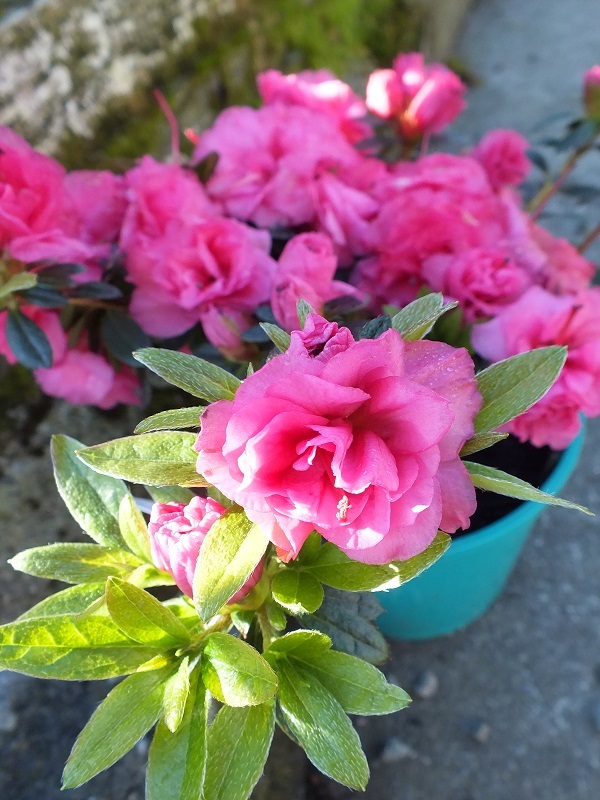 A hardy evergreen shrub, in spring the tip of each branch bursts into a mass of beautiful medium-sized double, rosy-pink blooms until the plant is a veritable bouquet. Azaleas require moist well drained, acidic soil, they grow best in light shade and require minimal pruning. Mulching is important as they have a shallow fibrous root system.